Four days after Shukeiri, the first Chairman of the Palestine Liberation Organization, predicted the imminent annihilation of the State of Israel, the Israeli army launched a preemptive strike against the hostile nations of Egypt, Jordan and Syria. Their attack followed several weeks of undisguised aggression, during which time Egypt closed off the Straits of Tiran, amassed troops on the Israeli border and signed a defense pact with Jordan. These actions, along with the belligerent rhetoric of Arab leaders, indicated a three-pronged invasion with the intention of erasing the state of Israel from existence. 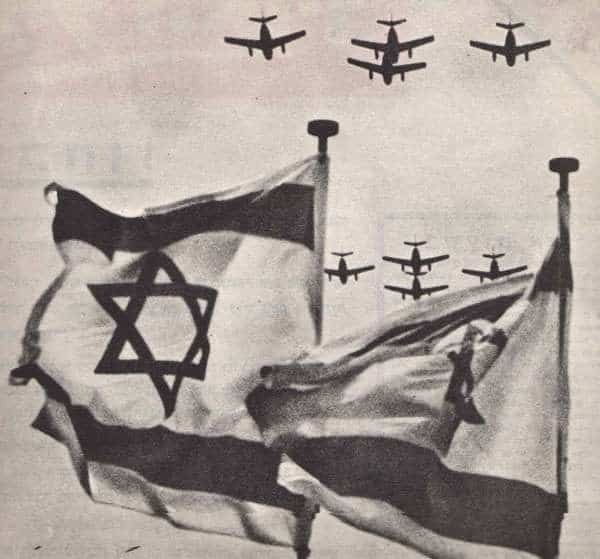 Then, on the morning of June 5th, 1967, Israeli planes attacked and decimated the Egyptian Air Force, initiating a conflict which would end six days later in a resounding Israeli victory. Known in Arabic as an-neksa, the setback, the war cost approximately 25,000 lives and doubled the size of Israeli territory. In an interview with Charles Stuart Kennedy beginning June 2002, Edward Gibson Lanpher, who at the time worked in the visa section, recalls his experiences at Embassy Tel Aviv during this historic confrontation and conversations with Israeli military officials on their stunning performance. Read also about the deadly founding of Israel and when Israel bombed the USS Liberty during the Six-Day War. Read about negotiating the end of the Yom Kippur War. Click here for other Moments on the Middle East. LANPHER: When I got there [Tel Aviv] in January, there were reports about incursions and firings across the line between Israel and Syria around the Sea of Galilee, but everything was sort of under control. The thing I remember most about the early days, January through March of 1967, was Israel was in a deep recession. People were fairly blue. It was a pretty heavily socialist country in those days. It wasn’t working economically. I saw this on a day-to-day basis because I was assigned when I got there to be the immigrant visa officer, my first job. I saw a steady stream of Israelis coming in to try to get visas to the United States. I interviewed them and they were leaving for economic reasons. The country was dispirited…. As things heated up and the rhetoric started flowing out of the Arabs and they blockaded the Straits of Tiran, there was definitely an increasing prospect of war. Q: Was there a sense of panic? LANPHER: I wouldn’t call it panic. I would call it anxiety. People were being bombarded by propaganda out of the Arab radio stations and it was pretty bellicose. If you looked at the numbers in terms of the forces arrayed against Israel in 1967 — manpower, airplanes, tanks, whatever — Israel was vastly outnumbered. There was always the question of whether Israel could fight a more than one-front war…. We also realized that consideration was being given to a preemptive strike. 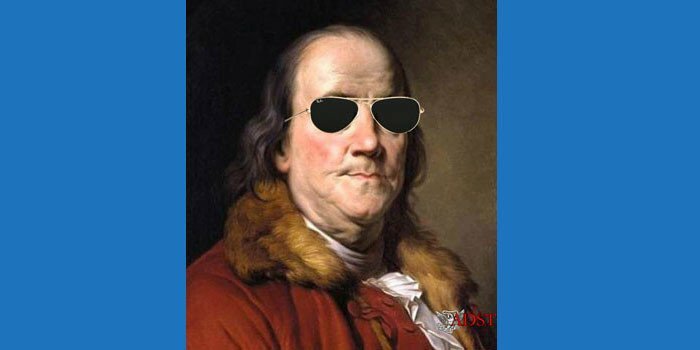 We, together with Washington, got all our dependents out about a week before the war. My wife was evacuated to Rome. All our other Middle East posts were evacuated to places like Athens and Rome. It was clear the war was coming…. You had the Israeli foreign minister, Abba Eban, traveling to Paris, London, and Washington. You had Lyndon Johnson deeply involved, as well as Dean Rusk, then Secretary of State. Despite Vietnam, this was a priority. There was also the Soviet angle, the Soviets with Egypt and Syria. So, it was a pretty fraught time diplomatically…. As I drove to work the next morning at about 7:00-7:30, down the coastal road from where I lived towards Tel Aviv, you could look out over the ocean and see the Israeli Air Force about 12 feet off the ocean headed for Egypt. They flew in under Egyptian radar, caught the Egyptians with their pants down [at]about 7:45 Egypt time in the morning. They knocked out 18 Egyptian airfields in the first strike. The first night of the Six-Day War, a Monday night, I was the embassy duty officer. Of course, we were all in the embassy. The air raid sirens went off. The Ambassador and DCM [Deputy Chief of Mission] and everybody went down to the third basement, the garage underneath our embassy. Although there wasn’t an air raid, there was artillery shelling going on from the Latrun salient [site of a Trappist monastery overlooking the road between Tel Aviv and Jerusalem and the site of fierce fighting during the 1948 war], about 12 miles away from Tel Aviv in Jordanian territory. So, everybody else in the embassy got to go down to the basement. I had to go up to the roof of the embassy and sit with a special communications team that we had brought in from Germany, a backup or high- speed communications team, a U.S. Army unit. There were four or five of us on the roof listening to U.S. supplied artillery shells going over the roof of the embassy. Luckily, they missed the embassy. But the embassy was right on the beach, the waterfront, and they were going over the roof and into the sea…. With the Egyptian Air Force out of action, the war was essentially won in the first hour. 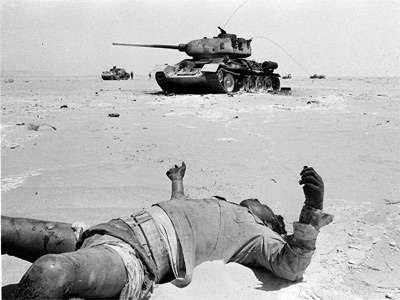 The rest of it was on the ground as the Israelis blitzed with their tank force through Gaza and into the northern Sinai. I was one of the first Americans down into the northern Sinai after the war. The devastation of the “blitzkrieg” was quite incredible…. As soon as the war was over, within days, everybody in the U.S. Army and Air Force wanted to come out to Tel Aviv and debrief and get the story on the war, which was seen by our people as just incredible. The tank tactics and the air tactics, our experts and intelligence people wanted to get in very early…. So, the Israeli commander trotted out a ground crew, a plane, and demonstrated just how they did it and how fast they could do it. Our Air Force people still didn’t believe it…. But it was quite an incredible military performance in the eyes of our professionals. When you see the Golan Heights and how the Israelis went up the Golan Heights and took the Syrians on with their World War II Sherman tanks, it’s quite incredible…. There was great apprehension before the war started that things would go bad for Israel. They were clearly outnumbered and outgunned by any order of battle information – number of tanks, planes, etc. The idea of a three-front war was something that had everybody worried. We were worried ourselves because we had evacuated all our dependents. We told American citizens to get out of Israel a week or 10 days before the war started. But in many respects, the war was over in the first hour when the Israelis took out the Egyptian Air Force and sent their tank columns into Gaza and into the Sinai. That was a rout. That was an unbelievable rout. The Israelis were just very, very good. Tragically, the Jordanians and the Syrians got sucked into this, but by the time they got sucked into it through their own propaganda and beliefs, the Egyptians had been pretty thoroughly trashed and the Israelis were on the Canal in no time. There were some big battles in the central Sinai. But the Israelis were able to shift a lot of forces to the Jordanian and Syrian front in the latter days of the war, so it wasn’t really a three- front war 100% from Day One. Q: As the Israelis rolled into the West Bank and into Gaza, was it felt that they were going to stay? LANPHER: We simply didn’t know. Of course, as the war went on, and it was only a six-day war, but in its aftermath, the focus shifted to New York, Security Council resolutions, and [Swedish Ambassador Gunnar] Jarring Missions [who was appointed by UN Secretary General U Thant as Special Envoy under the terms of UN Security Council Resolution 242 to achieve a peaceful settlement of the conflict]. We were also involved in the year after the war in trying to broker secret peace negotiations between Israel and Jordan. We were involved in peacemaking efforts. I don’t recall whether we thought the Israelis would stay on. The Israelis lost over 600 dead in the Six-Day War. At that time the country had about 2.5 million people. That was a terrible amount of casualties for them to take in a small country. So, there were very strong feelings certainly on the Israeli side that they weren’t going to give up anything that they had taken except in return for real peace. They were very adamant about that. I think there was great relief that the war was over, that the shooting had stopped. We had all been aware of our colleagues in the Arab world who had very hairy experiences of the evacuations of Alexandria, Cairo, Aleppo, Damascus, people going out the back of buildings on ropes getting rope burns on their hands, people as far away as Libya that barely survived. There was certainly a real sense of relief that it was over. I wouldn’t have called the embassy in Tel Aviv pro-Israel in that sense. But there was a certain sense of relief that, if you’re going to be in a war, it’s probably better to be on the winning side…. [At the time]there was heavy focus on UN resolutions in New York…. But I don’t think anybody had a plan, at least in any immediate sense, because nobody anticipated the war until a couple of weeks before the war and nobody had a plan for what you’d do if you occupied all this territory. So they stopped at the Canal. 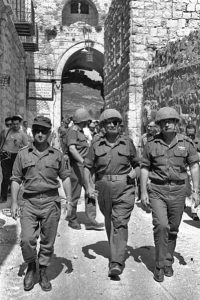 They were stopped by President Johnson when they had taken the Golan Heights and they were poised to go down the road to Damascus. They could have been there like a knife through butter. Everybody had run off. Q: Did you sense a change in our relations with Israel? LANPHER: That evolved. Before the Six-Day War, we had no military supply relationship with Israel at all. In the immediate aftermath of the war, we were very eager to get our hands on a lot of the equipment that the Israelis had captured, Russian equipment that was of great interest to our intelligence community and our military because it was the same sort of equipment that the North Vietnamese were using against our forces in Vietnam. So, we were very eager to get a hold of this. The Israelis were willing to share it with us, but they extracted a price, things like Sidewinder missiles. For weeks and months after the war, we were sending in transport aircraft to pick up SAM missiles that the Israelis had captured. We flew them back to the U.S. and our intelligence people exploited this trove. Our army and air force in particular flocked to Israel to learn the lessons of the Six-Day War, things like tank tactics. The biggest tank battle in the history of the world was fought in the central Sinai. The Israeli tactics were brilliant and our people wanted to talk to them about it. Q: What about your contact with the Israelis, your neighbors? Did you sense a change in them? LANPHER: Yes. Between January ’67 and March or April, I found Israel quite a depressing place. There was an economic recession. People were leaving the country. People were despondent. They were questioning whether the country had a future. After the Six-Day War, they were totally energized. They felt that they were more secure. The economy started to turn around. They had been on the winning side.